Olaplex works on a molecular level to seek out broken bonds in the hair that are caused by chemical, thermal and mechanical damage. 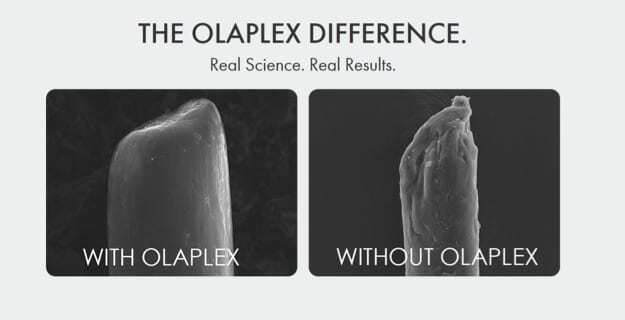 Olaplex restores compromised hair and provides the ultimate breakage insurance. Our second step continues to rebuild and restore any remaining broken bonds ensuring the strongest, shinest and healthiest hair possible. The final step provides our clients continuous protection from ongoing damage at home.